Dracian gripped his head. "I require water, food and for the love of Bel stop pounding on things," Freya was unfamiliar with the name he intoned, but a small smirk bent to Simeon's lips. There would be only one reason he'd have for invoking the name of the god of thieves. Neither could deny, he looked like hell. "I considered your words, Freya. Wasn't much to do as I lay there in a puddle of my own piss and vomit. Allow me some time to make myself presentable, eat, and rinse the taste of bile from my throat... and we will have a vessel and provisions." "What about a crew?" Freya asked. "Not needed. The three of us can make the journey, and should we fail, I'll not be delivering more victims for that inhuman wretch. I shan't lie," he shrugged. It appeared he was too hungover, hungry, dehydrated and exhausted, to execute his typical bravado. "This time anyway. Capturing the ship will not be easy. It will be bloody, and loud, and a lot people will not be pleased... but oh, will it be glorious." Dracian was already plastered. Three sheets to the wind... was not enough sheets to come close to accurately describing how hard he'd hit the sauce that evening in the time they were waiting. "Oi!" The bartender approached Freya from his side of the counter. He waved Dracian away as he spoke. "Get this sorry sod out of 'ere an'on'is way! To d'street wiv'im!" Freya practically had to carry him, he could barely stand on his own. His face and beard and mustache were slick with alcohol and traces of other foul wafting aromas. He didn't put up much of a fight until she'd made it out side with him, mostly because she was pretty sure that's when he'd realized he was being moved. He could squirm well enough, even this drunk, and broke her hold on his tunic within a matter of moments by slipping out of it. She wasn't sure if it was by some thief design or just plain dumb luck that he fell right out of it. He stood up like a shot, wavering a bit to catch his balance. "No!" He shouted at her. He attempted a backhand but Freya didn't even have to move, his had flew past her nearly a foot off it's mark. "Only I know the way, and I'm never going back there!" He pushed Freya, hard. She didn't move, he did however. He threw himself backwards, literally pushing himself into the refuse of and trash piled up in the alleyway. "You don't know!" He scrambled to his feet, as best he could anyway. He managed more to scramble along the ground away from Freya than actually stand again. "None of you know! I've seen it. I've seen what he does to people. He's a monster, no, a demon!" Freya approached him and hoisted him up by his wrist, back to his feet. "For a year I sat in his cages! Watched as he butchered and tortured and... only I made it out...," his eyes met Freya's and she saw in him the eyes of a warrior. Even among her people the men and women would see terrible things that broke their resolve and shattered their spirits. There was no shame in fear, or failure. To live through it was the opportunity to set it right. Set themselves right. What this man had seen or done, it had broken him. "Only I made it out," he said to her, more softly and she saw the tears well up in his eyes. He collapsed into her chest, crying like the shattered man he was. He pounded a fist against her shoulder and she barely moved, the sound was akin to a hammer striking an oak. "...all of them. I left them there. My crew... I was their captain, and I left them to save myself." The sobbing came deeper as he used her for balance, occasionally striking her shoulder to punctuate how pathetic he'd become. Simeon only looked at Freya, shrugging sorrowfully with a mournful expression writ plain on his face. "I... I never knew. He never spoke of his time there." Dracian listened intently to her story, popping grapes and sipping from his cup as he enjoyed the meat and fruit Simeon paid good coin on so the thief could eat it all. Why do you always burn everyone's villages down? No wonder you can't get anything done up there, everyone's rebuilding all the blasted time." She shot him a scowl and he raised his hands in defeat, vowing silently that it would be the only time he interrupted her. At mention of the slaver's name, however, the warrioress saw the color drain from his face. Behind the veneer of jokes, quips, and ignorant care-free whimsy was a coward. She knew there was no shame in fear, all warriors in her country felt fear, faced fear, and laughed at fear as they simply did what needed to be done. She knew the fear in his eyes, it was the same she saw in the eyes of slave girls she'd encountered who were sold by her quarry to pirate havens all along the coast. It was not the fear of a man who gave lip service to another man's reputation or personal legend, it was the fear of a man who'd witnessed first had that reputation and escaped it. She knew right there in that moment: Dracian of Messantia was the man she was looking for. "I-I can not help you," he said, tripping on words that couldn't seem to pass his lips fast enough. "You're on your own. You court Death, Freya of Vanahien, he stood, so flustered and frightened by whatever was occurring in his mind that the deft coordination she'd seen him possess seemed to bleed away as he tripped of a shelf and stumbled towards the door. His exit was swift, but as graceful as a drunkard at last call. She went to pursue him but Simeon's hand grasped her arm. "Let him go." He said, releasing her arm as she scowled at him. "He'll not go far, never does. We all have demons, my dear. What you ask him to do is face his. I've known the boy since he was, well, a boy. He was a great sea captain once, pirate, corsair, whatever fancy title catches your fancy. He defied Bithulimon and a traitor on his crew turned him over to the slaver. He spent some time as his captive but doesn't speak of it, the year was a dark and bloody one. Of that I am certain. Give him an hour and he will be at the local tavern drinking himself stupid in an attempt to forget the treachery and nightmarish things he's seen." Simeon drank from his cup. "That is, if you still desire his help." Dracian waggled a finger, conceding the old man's logic. Then shrugged. "Well, okay, you got me there. Sanity and careful planning are certainly not my two most welcome of bedfellows, but I do sort of have a debt to pay, to the Northerner. You're more in touch with current events than I, what have you heard?" "Honestly, I've heard nothing. Your head was meant for the axe, but after your escape they've been relatively quiet as the man hunt for you continues." He sorted a few things on a shelf. "If hell bent you are on going back in there, I must admit, it'll be the last place they'd be looking for you. Guards would be light. All the prisoners are logged in the manifest. Capture that and it will tell you precisely who it is you're looking for." Dracian clapped his hand together, "Whelp, there you have it, Freya. Perchance you could tell me the full story before I break into a prison to rescue someone who may or not be there." 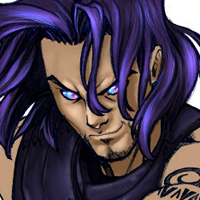 "Hm," he stroked his chin in contemplation, petting the small soul patch-goatee he had going on. "Rewards are certainly motivation. However, luv, the only man fit for the headsman axe in Kordava within the week, was me. Granted it took me a few days to escape my cell," he looked at her while speaking and laughing at the same time. "I was really drunk." "While I'm loathe to enter that city again anytime soon, situations like these do merit fact checking." He sighed, a bit defeated at the notion of both rewards and walking away from such a fine bosom. "Ugh, very well, I know a man in Kordava. He may be of some help, I'll introduce you. Besides, breaking out was easy, breaking in will require a lot more work." We smiled wide. "...and explosives." "Excellent!" He accepted her hand and she pulled him to his feet with an ease he was not accustomed to from the women he was used to being in the company of. He brushed off the dust from his leisure spot. "Now, simply tell me who this man is and we shall set out to locate him. Does he owe you money? Please tell he didn't raid your village and your kill your family... I am so tired of hearing that one." The slender swordsman raised a brow at the carnage the northern woman left strewn in her path. "Well," said the stranger. "That was certainly... colorful." His lazy way of being concerned was not lost on her as he lifted her sword from the dirt and approached her, spinning it with a grace not unaccustomed to thieves and cut throats, but his technique, like hers, was mastered and flawless, not clumsy and showy. She made no mistake, like her, this man was a skilled killer. He offered her her blade, handle first. "I must say, I'm certainly thankful you came along when you did. Not to sound ungrateful, but...," he smiled mid sentence. "You know what? It matters not. I am Dracian of Messantia. Thief, pirate, archer, lover," he delivered that last little with a flirtatious tone that was barely impressive to the northerner. His bow was almost as unimpressive. "You seem... a ways from home. I'm parched and there is a fresh water stream not far from here. Why not get yourself cleaned up and I'll fill my skin. While we're at it you tell me what brings you this far south, unless it's because I owe you money, or am the father of your child. I'm not the father of anything am I? Although, I'm pretty sure I'd have remembered a night with you." He didn't wait for an answer, his blades back at his side he scooped up his dropped gear, complete with a bow and a full quiver. "Come, let us see which of us tried to mug and murder the other first. It'll be fun!" He smiled widely. "So!" The man said as he parried a lunge for his head with a quick swat of his wrist. "My fiery rescuer... you come here often?" The man was lithe and agile, moving around like a man who was less a soldier and more survivor. Thankfully the arrival of the Vanir had the fools so off balance that he was practically doing all he could to stop from bursting out into laughter. He could not have planned this any better, which was true, considering before she arrived... he had no plan at all. Fueled with rage, and possibly some desperation, the one soldier giving him attention was becoming more frustrated with every missed blow that Dracian smirked when he finally saw his opening. He parried high, knocking the mans weapon away high and wide as he pivoted his body, turning about so his back slammed into the man's front. The soldier's eye widened as he felt the curved sword slide through him. While Dracian parried with one blade, he stabbed with the other. The soldier died, slumping over, his head resting on Dracian's shoulder. He let the man comfortably fall to the floor. "I know, I know, that sounds like a line," He said, his accent was thick and rich. He spun his blades until they faced downward, sticking into the soil where he rested on them like twin canes. "What was it that drew you here, hm? The salty sea air? The crashing of the waves? The scent of a real man?" He waggled his eye brows at her while she fought for her life, a roguish grin imprinted across his lips. He casually walked around the perimeter of her battle, like it were a pit match. She shot him an icy look. "Don't look at me, look at them... they're the ones trying to kill you, luv." He swatted his finger away from himself and at her and the gentleman, shooing her gaze from him in a gesture for her concentrate on the battle at hand. Name: Dracian of Messantia Homeland: Argos (Sea Raider) Caste: Outcast Caste Talents: Embittered, Survivor Story: One of the Rabble Trait: Betrayed Archetype: Master Thief Nature: Sneaky Education: Traditional War Story: Plundered a Merchant Vessel Languages: Aquilonian, Argossian (Exp/Focus/TN) AGILITY: 9 -Acrobatics - 2/2/11 -Melee - 1/1/10 -Stealth - 2/2/11 AWARENESS: 11 -Insight - 0/0/11 -Observation - 2/2/13 -Survival - 0/0/11 -Thievery - 5/5/16 BRAWN: 8 -Athletics - 2/2/10 -Resistance - 0/0/8 COORDINATION: 14 -Parry - 1/1/15 -Ranged Weapons - 2/2/16 -Sailing - 2/2/16 INTELLIGENCE: 7 -Alchemy - 0/0/7 -Craft - 1/1/8 -Healing - 0/0/7 -Linguistics - 0/0/7 -Lore - 0/0/7 -Warfare - 0/0/7 PERSONALITY: 8 -Animal Handling - 1/1/9 -Command - 1/1/9 -Counsel - 0/0/8 -Persuade - 1/1/9 -Society - 1/1/9 WILLPOWER: 7 -Discipline - 0/0/7 -Sorcery - 0/0/7 Talents: Ancient Bloodline, Society (A Modicum of Comfort), Parry (Deflection), (Thievery (Thief), Ranged Weapons (Accurate) Attacks: -Brawl (M): Reach 1 / 1H / Damage 2 -Scimitar: Reach 2 / 1H / Damage 3 /Q-Calvary 1, Parry -Scimitar: Reach 2 / 1H / Damage 3 /Q-Calvary 1, Parry -Shemite Bow: L / 2H / Damage 3 /Q-Piercing 1, Volly -Knife to the Throat: C / Damage 4 /Q-Stun, Vicious 1 *Dracian is fond of using the dual-weilding momentum spend when using his scimitars. Soak: -Armor - 2 (Boiled Leather) Torso, Legs -Courage - 0 Stress/Harms: Vigor - 8 | Wounds - Resolve- 8 | Trauma - Social: -Social Standing - 0 -Renown - 0 -Gold - 9 Other Belongings: Twin scimitars (exquisitely crafted), Shemite Bow, Plain Traveling Clothes, Padded Jerkin (1 Armor) Background: Dracian was, at some point in his youth, a petty noble. For reasons unknown and he doesn't seem unwilling to discuss, he was cast from his family. Disowned and left to fend for himself he soon took up with the beggars and thieves of the streets of Argos. In time he grew skilled in the arts of thievery and eventually took to the seas. By the time he was fifteen he'd already taken command of a vessel and sacked merchant ships for plunder as far as the Southern Isles. His crew was swiftly getting rich, and life was good. For more reasons unknown (which he doesn't seem willing to discuss) Dracian lost his crew, and his ship, The Peregrine. Dracian is a tall, handsome man with sun kissed skin and long black hair usually bound tightly in a pony tail. In silvery moonlight his deep, midnight black, hair possesses a sheen of purple to it. His eyes are gray, but again in the light of the moon they often appear to swirl with several colors, like the surface of a pearl. He has a secret talent in his uncanny accuracy, as most feats of coordination are simple for him. He doesn't appear to be a skilled warrior, but he's able to deflect blades aside with lightning speed and to his knowledge he's never missed anything he's ever aimed for. A consummate thief and a con man, Dracian is a man who has shirked responsibility his whole life. He acquires fortunes only to piss them away with whores and booze. He knows more women than any man should ever admit to and he's lied to them all. He can usually be found passed out in an alleyway or drunk in a brothel spending coins he's nicked from someone else. He once paid a prostitute with the money he'd just stolen from her. Usually if his lips are moving, he's lying. The Argossian spun about, whirling his blades. The northern woman arrived and the distraction she caused gave him just the opening he was waiting for. That one tick where his opponents took their attention off him opened up the opportunity for his blades to do the work they were meant to. His right blade swiftly cut low, slicing deep into one of their right thighs, just above the knee. He screamed in pain and fell to a kneel as the second blade sliced opposite, slitting the man's throat in a single swipe. "Say what y'will about northerners, gents... they sure know how to make an entrance." He stepped away, blades at the ready. His grin was a twisted mark of sarcasm, suave, and self-confidence. "Welcome aboard luv, pick a fool, kill im'. Repeat as needed, eh?" Quinn was a giant. He stood nearly eight feet tall and was nothing but a mountain of muscle. An entire life of slaving for the Guild in their quarries had seen that not an ounce of fat was on his perfectly chiseled frame. He went shirtless most places, mostly due to how hard it was to find clothes for him, but mostly because the he felt the whip scars on his back tend to itch a lot when he covered them. He was barefoot with pants that were shredded to tatters at the shins. On each of his wrists, although the chain links were long removed, were the locked shackles he'd worn his whole life. "He's going to get himself killed." He said as he walked down the crowded market place street. On his shoulder was a collection of supplies that were easily hundreds of pounds and the other patrons could only look upon the giant in amazement. The deep bass in his voice was like the rumbling of stone. "Of all the places we could be in Creation, Lookshy, during Calibration, should not be one of them. This is reckless, even for him." "Relax, Quinn." Came softer more sultrier tones from a few feet further down. Esmeralda sorted through a variety of dates and moved moved on to salted meats. Where Quinn got most of the looks from the people for his sheer size and strength, Esmeralda had a majority of the men in the marketplace gawking over her beauty. She was from the harsh deserts of the south. Her skin was kissed by the sun giving her a dark complexion with full lips and almond eyes. She wore a halter and a sarong made of several layers of sheer material. Her beauty was peerless and her flesh unblemished. As an ex-consort for one of the Guild's pleasure houses, she felt any place in Creation was better than there. "Reckless and stupid as our Dracian might be, he nevertheless knows what he's doing. I hope. Besides, we needed supplies anyway and this marketplace is astounding!" He pointed out to her giant ally in a thick accent of Flametongue. "This just doesn't feel right, Ezzy" Quinn added. "It's Calibration, all sorts of things could go wrong." "Your being paranoid," She laughed a bit as she handed him a sack with several spices and herbs which he added to the collection on his shoulder beyond her reach. "We'll be gone my morning, just try to relax. Oh! That reminds me, I have to pick up his outfit for the gala this evening." "He's going to the gala? He's out of is mind! House Peleps will have family members attending, he is aware of this right?" "He is." Ezzy grinned, replying calmly. "Quinn, realx. Dracian is a master of disguise, he'll blend right in." *****In a seedy inn and tavern an hour later... "How do I look?!" Dracian came into the room and spun about to let them feel the full effects of his disguise. The bushy beard and the pillow stuffed in his midsection made him look more like Zach Galifianakis stuffed in a gawdy and poorly dyed dashiki. "We're dead." Esmeralda and Quinn said in unison as they buried their face in their palm. "What're you talking about guys! I look great!" He said with with excitement as spun once more like a preening peacock. "Damn, I've outdone myself this time. I'll slip in, swipe the Hearthstone, we'll lay low in An-Teng for a few months, then we'll come back, open the Vault of Kresh, and be rich beyond our wildest dreams. Trust me." "We do," The giant said, nervously. "It's just, well, Ezzy and I feel that maybe you haven't completely thought this through all the way." "I haven't," the fugitive Water Aspect shrugged nonchalantly. "That's the beauty of it bro. I'm totally playing it by ear. Thinking is for people who have too much time on their hands, we're busy, we have to think on our feet, make it up as we go, go with the flow." Ezzy put her hands up to stop the 'flow' of Dracian's BS. "We get it, Dee, just, please, be careful. It's Calibration, and you know how superstitious Quinn get around this time of year." "Guys, relax." Dracian smiled and his pearl eyes focused on them both, though it was hard to notice. "Nothing'll go wrong. Trust me."